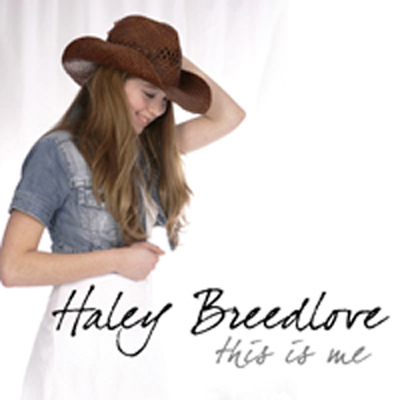 Sixteen year old Haley Breedlove, a very talented Vancouver Island, British Columbia teen, won â��Youth Artist of the Yearâ�� at the Vancouver Island Music Awards in 2007 and has opened for The Wilkinson's, Valdy and Gary Fjellgard and performed at the Merritt Mountain Music Festival three years in a row. 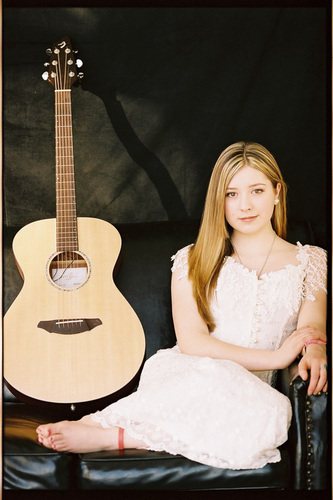 Haley, already an accomplished recording artist when she was just thirteen, is just back from Nashville where she has been working on recording her 2nd CD and was able to perform at the very famous Bluebird CafÃ© where many country artists have begun their careers in Nashville. Haley had 2 songs released to country radio last year and her song â��Mamaâ��s Little Girlâ�� reached #99 on the â��Top 100 Country Hitsâ�� all across Canada. Haleyâ��s CD is available on several digital download sites such as â��I Tunesâ��, EMusic, Napster and Snocap. Haley believes in giving back and supports a little girl from Mali through World Vision and has been touring the elementary schools on Vancouver Island with her very powerful Anti-bullying message and Concert. 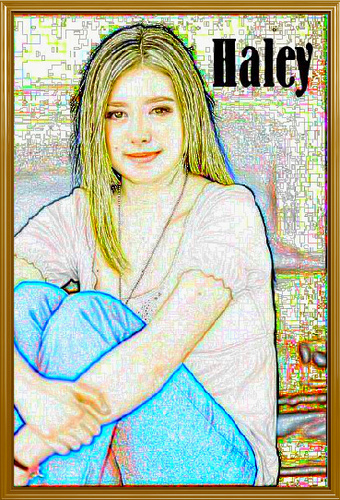 Haley is one young talented teen and is making quite a name for herself on the Country Music scene both locally and internationally with extensive plays on European radio. * Note: Haleyâ��s newest single â��Thanks To Youâ�� will be released to country radio all across Canada the week of Jan. 26th. Just found out that she won youth artist of the year at this years Island Music Awards. She deserves it, she is quite the talent Iâ��m looking forward to seeing her career develop. She can sing! Let me know when and if we can do a phoner interview and feature the song â�� Iâ��m definitely gonna try to get this some regular spins in the next weekâ�¦..
Hard to imagine she is so young. Another Tanya or LeAnn on the rise. LOVE THIS YOUNG LADYâ��S VOICE â�� VERY TALENTED! OUR LISTENERS WILL LOVE IT ! Haley sounds a little more â��little girlishâ�� on â��Mamaâ��s Little Girâ��l compared to â��I Wanna Live Like Thatâ�� Perhaps itâ��s the lyrics. Still a very strong debut track that we initially will be adding to our Can Con Rotation (1-2 spins a week, 9am to mid).